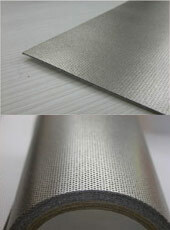 KGT is a series of PE material, generally used as a seat cushion , diving suit, the use of the electrically conductive material is to strengthen the surface of the abrasion resistance and chemical resistance, PE is oily, the conductive adhesive side with Wire Mesh as a substrate, can be effectively bonded to a variety of conductive material, and can maintain the excellent conductive electrical properties. Material has some fixed size through hole, increase the compression rate and ventilation functions. 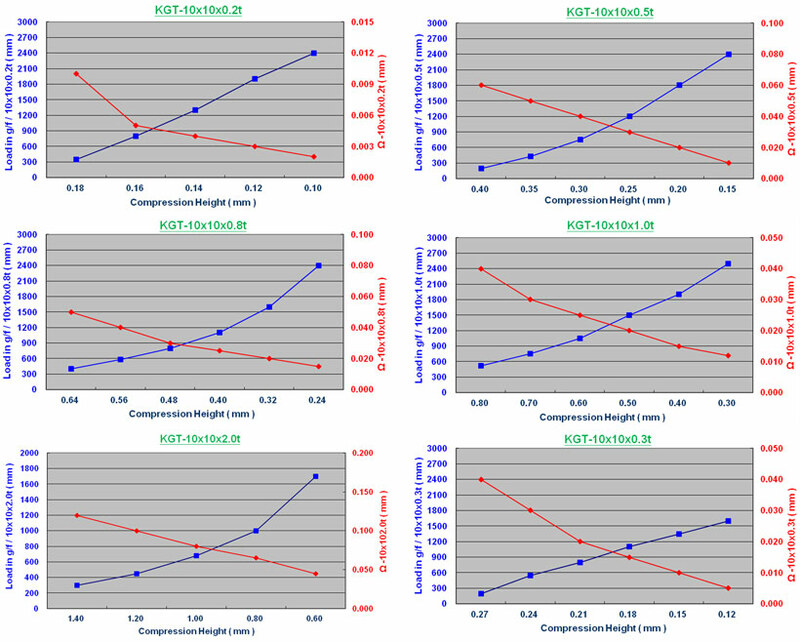 Each of thickness, there are different high compression conductive properties has more wide applications. In particular, applications in a very small space and on irregular material to better show its high compression conductivity. 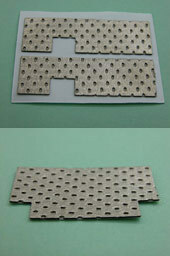 Cutting for clients can design and mass production of various shapes and sizes. Increasing function of the space, reduce the fixed point. During in the production and assembly, Reducing the compression and extrusion force. KGT is a series of PE material, generally used as a seat cushion , diving suit, the use of the electrically conductive material is to strengthen the surface of the abrasion resistance and chemical resistance. 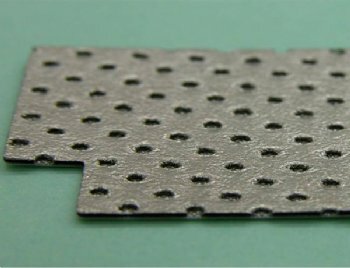 PE is oily, the conductive adhesive side with Wire Mesh as a substrate, can be effectively bonded to a variety of conductive material, and can maintain the excellent conductive electrical properties. 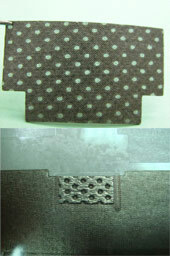 Material has some fixed size through hole, increase the compression rate and ventilation functions. 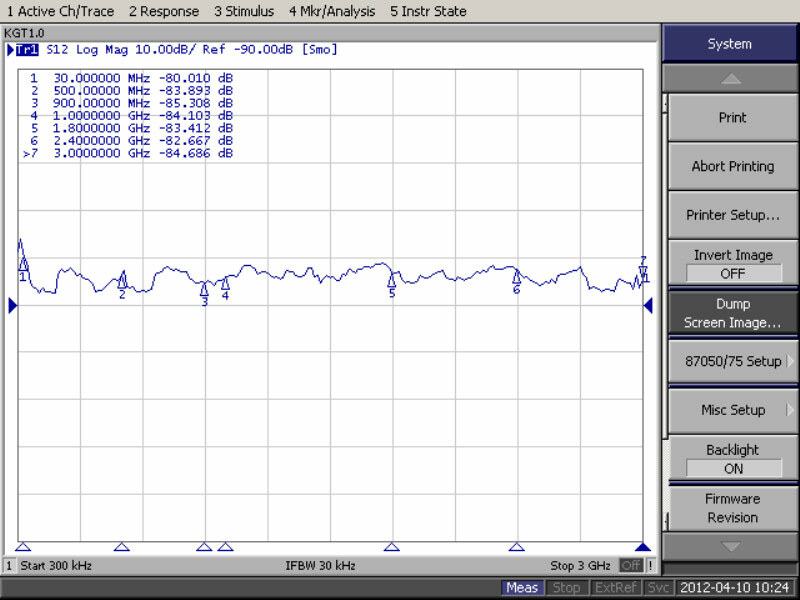 Each of thickness, there are different high compression conductive properties has more wide applications. In particular, applications in a very small space and on irregular material to better show its high compression conductivity. 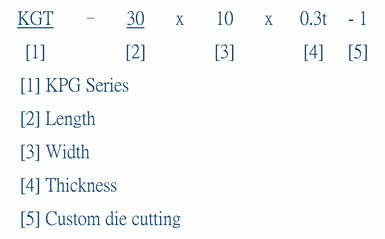 Die cutting for clients that design and mass production of various shapes and sizes. 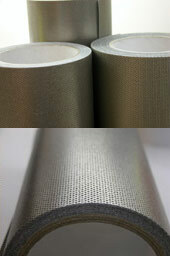 Reel type specification of material, high performance production cost and efficiency. *The above data is actual test value, not absolute value.